Fall(ing) for kale ~ The kale season is here!! 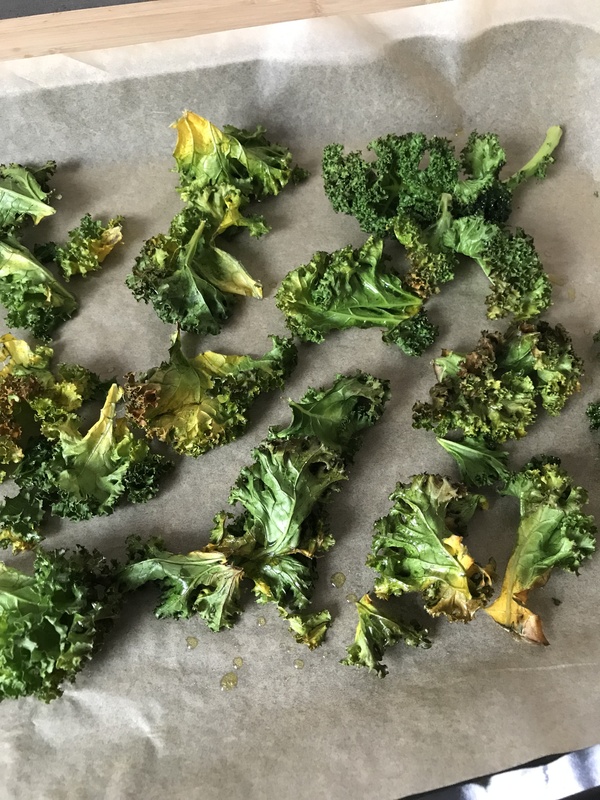 It’s been a while that I shared one of my favorite recipes with you, but here it is: super easy, healthy AND delicious Kale chips! I’ve been thinking about making my own for quite a while but always thought that it’s a lot of time and effort – until I found out that I was wrong!! Got 15 minutes? Read on! You can also use pepper, chili, turmeric or any spice you want, or you can also add a little bit of Parmesan or whatever you prefer. It’s quick, easy and MUCH cheaper than buying the kale chips in your grocery store. An absolute guilt-free snack for your next party or movie night! 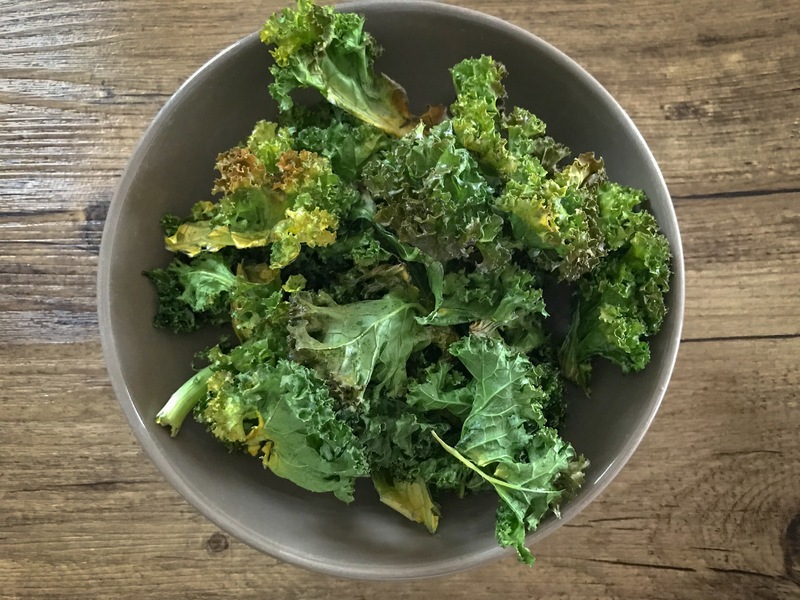 Kale chips are delicious and an absolute health food because kale is not only low in calorie and fat, it’s packed with Vitamins (A, B, C, K, ..), beta-carotene, minerals, antioxidants and much more! Why kale is good for you? Read on here. As always, I would love to see your pictures on Instagram or Facebook when you’ve tried my recipe!